This week I began a placement at Library & Archives Canada and I have to say the experience exceeded my expectations. I even exceeded my own expectations. Sometimes you have no idea how much knowledge you have gained until you can test it out in practice. This project will overlap with my professional work in interesting ways continuing on with the conversations I have had with my client Jeff Thomas (www.jeff-thomas.ca) over the years. These conversations have centred around practices of archiving and curating that problematize the dominant narratives of colonization in Canada. As the Wikipedian-in-Residence I am digging into both their physical and digital archives to think about online engagement with the holdings in their collections as well as offline programming and events that reveal those holdings to the community for their own research. As part of LAC’s commitment to the Truth and Reconciliation Commissions 94 Calls to Action there is a focus on digitizing documents associated with treaties and this is where I will be focusing as well. 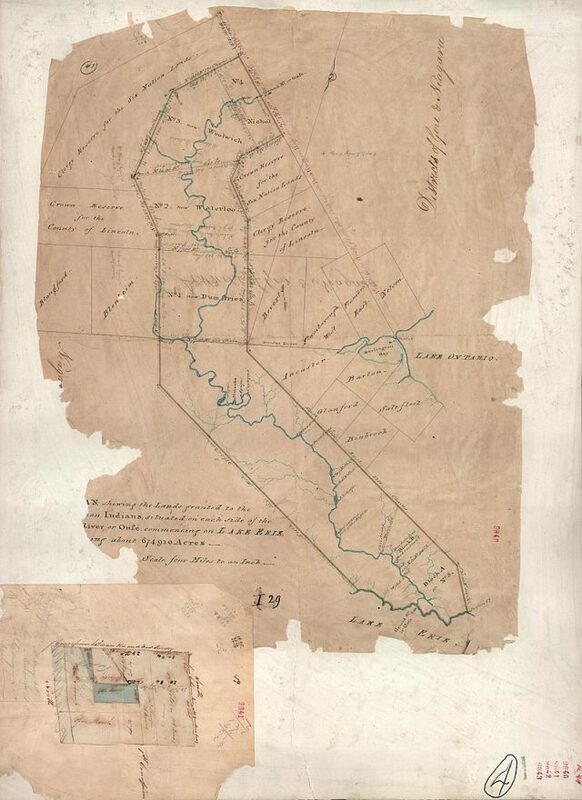 My first proposed case study – The Haldimand Proclamation. From this one archival holding of a map a story spins forward and back that tracks changes in borders, governance, policy, technology, as well as most importantly how all of these changes impacted and continue to impact Indigenous and Non-Indigenous relationships. My brain is a buzz….stay tuned for updates and possible events!